If you smell gas, or even think you do, get outside immediately. Your next step is to call R&B Plumbing and Heating and alert them that you may have a gas leak. We offer 24 hour emergency service and repair for just this reason and are equipped to help you avoid disaster. 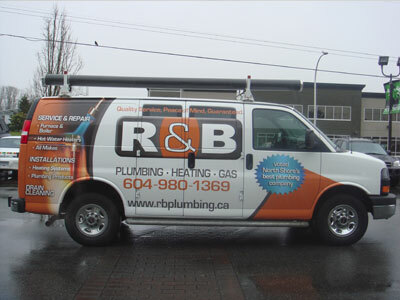 As ticketed gas fitter professionals, R&B Plumbing is both qualified and certified to respond to a gas leak. We first identify where the leak is coming from and then isolate the leak by activating in-line shut-off valves to the appliance. After we repair the leak, we test the repair and re-open the valve usually without disruption to the other gas appliances in your household. We are sure to relight any standing pilot lights before we leave. For major gas leak emergencies, exit the building and then call FortisBC at 1-800-663-9911. They will come and turn off the gas to the entire house. Once the gas has been turned off, call R&B to attend to the source of the problem. Please remember, “when in doubt, get out”. For detailed instructions visit FortisBC. To avoid a gas leak, follow these simple steps. Don’t DIY. Call before you dig, and service your gas fired appliances annually. To get set up for our annual service, call R&B today. Thanks for a job well done, and for going the extra distance to accommodate our tight schedule. Greatly appreciated!